For the first time in your life, you'll have complete health, dental, and vision insurance. All because of your amazing new job. In reality, office assistant jobs are tight. The good ones go to the best candidates. The ones with on-site kindergartens and bosses you actually like. For those jobs, you'll need an office assistant resume like Peggy Olson's from Mad Men. An office assistant resume example better than 9 out of 10 other resumes. How to write an office assistant resume that will land you more interviews. Tips and examples of how to put skills and achievements on an office assistant resume. How to describe your experience on a resume for an office assistant to get any job you want. Here's a sample resume for an office assistant made using our resume builder. Office Assistant Resume Example - See +20 resume templates and create your resume here. What's the Best Format for an Office Assistant Resume? Does format matter for a professional office assistant resume? You bet your crossbody Coach bag it does. Attention to detail is crucial for assistants in an office. So cross your t's and dot your i's – your spelling and grammar has to be perfect. 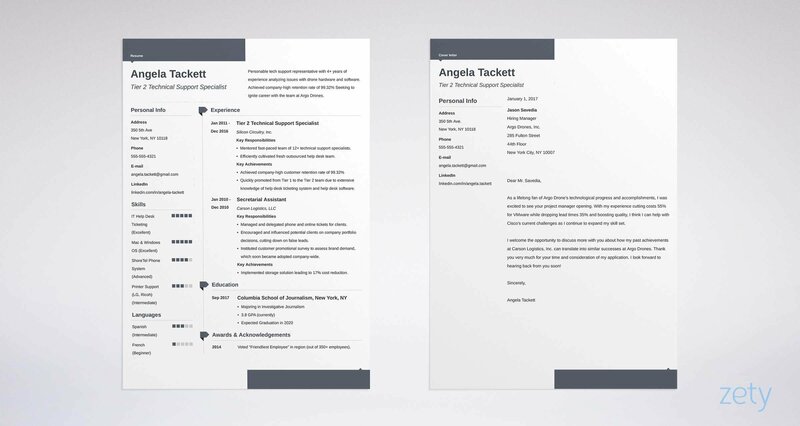 Then use a respected resume format like the reverse-chronological layout. That one puts your best "wins" first. Use clear, legible fonts. (No comic sans.) Add white space and big headings to break up the page. Convince the HR manager you've got a magic wand stashed somewhere. You're going to make life easy for her. Starting now. Finally, save your best office assistant resume in the PDF format. PDFs won't scramble from one computer to the next. An office assistant resume saved as an MS Word doc may. Pro Tip: Does the job offer accept PDFs? Double check. Some don't. If the posting doesn't prohibit them, consider that a green light. Want to check out other formats for your good office assistant resume? See this guide: "3 Resume Formats: How to Choose the Best One [Examples]"
You want the hiring manager to be absolutely furious. Not with your office assistant resume. With the others. Lucky for you, she will be. She'll be inches from throwing her "Hang In There" wall sampler through a window. Because the 300+ resumes on her computer lose her in a forest of unimportant details. Then she comes to yours. Suddenly she regains consciousness. Stops thinking about quitting for the day and binge-watching Netflix. With a top-notch office assistant resume summary or resume objective. Use a resume summary if you've got file drawers full of experience. 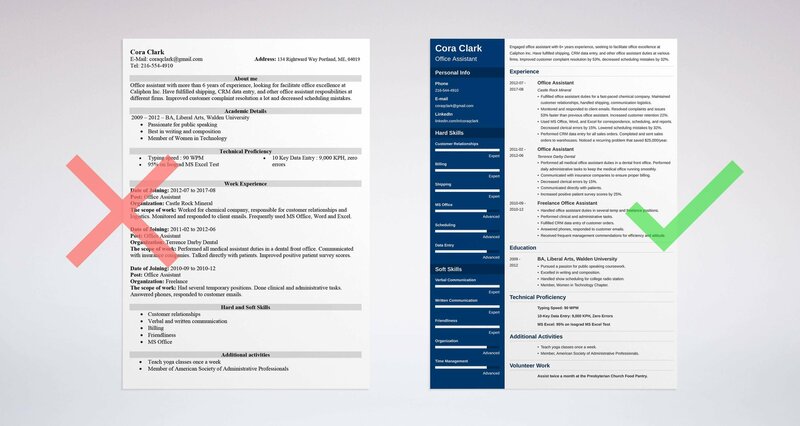 A resume summary shows off your achievements. Use a resume objective if your experience could fill a pen cap. A resume objective says why you want the job and what you can do. Either way, add plenty of measurable accomplishments as resume highlights. Engaged office assistant with 6+ years experience, seeking to facilitate office excellence at Caliphon Inc. Have fulfilled shipping, CRM data entry, and other office assistant duties at various firms. Improved customer complaint resolution by 53% and decreased scheduling mistakes by 32% at Castle Rock Mineral. Experienced office assistant with skills in CRM data entry, customer complaint resolution, and scheduling. Looking for a new position. See the difference? The first example makes you look like Miss Moneypenny with a dental plan. But what if you don't have that much experience? In that case, start with an objective statement for your professional office assistant resume. Coming up empty for experience? Afraid your front office assistant resume will look like Dunder Mifflin on a holiday? Don't panic. I'll show you two great ways to fill those gaps. Start with an objective statement. They're for entry-level office assistants. Office assistant with BA in liberal arts and administrative skills. Seeking work experience in fast-paced office. No experience but very friendly and hard-working. The difference is obvious, isn't it? The first might be the next Alfred from Batman. But hang on. How did a junior assistant get that much experience for an office assistant resume? Pro Tip: Put 1-2 achievements in your resume summary or resume objective. They're the hook that pulls the manager to the rest of your resume. Picture a hiring manager: Amber. She's got 300+ office assistant resumes to claw through. Yours is somewhere in the middle. How much does experience matter to her? But there's a special way to show it. You can't just toss a lot of experience on a page and expect to wow her. You've got to tie it to her job offer. Then add 4-6 office assistant resume bullet points that match what Amber's after. Monitored and responded to client emails. Resolved complaints and issues 53% faster than previous office assistant. Increased customer retention 22%. Used MS Office, Word, and Excel for correspondence, scheduling, and reports. Decreased clerical errors by 15%. Lowered scheduling mistakes by 32%. Performed CRM data entry for all sales orders. Completed and sent sales orders to warehouses. Noticed a recurring problem that saved $25,000/year. Fulfilled office assistant duties in a fast-paced firm. Maintained customer relationships through good communication. Took orders and handled shipping logistics. Monitored and responded to client emails. Used MS Excel and MS Word daily. You get it, don't you? That second example is generic. Sugar free. The first? That might as well be Pam from The Office. Now the good news: everyone has office assistant experience. And anyone can get more in a day or two. Method #1: Dig through past non-office-assistant jobs. Find related experience like talking on multi-line phones or handling customers. Example: You set up meetings in a retail job once. I can almost hear the cries of protest. "I can't volunteer! I need a paying job! That's why I'm writing an office assistant resume!" Performed data entry on customer orders. Chosen as the go-to data entry clerk because of speed and efficiency. Handled returns shipping. Saved 12% on average from taking advantage of special UPS discounts. Interacted with customers daily. Received customer comment scores in excess of 95% positive. Handled office assistant duties in several temp and freelance positions. Performed clinical and administrative tasks. Received frequent management commendations for efficiency and attitude. Office Assistant Experience: No direct experience yet, but I'm very friendly and efficient. A little past non-office-assistant experience, a few hours of volunteer work, and bam! You went from fumbling Minion to Pepper Potts from Iron Man. Want to see this in action? Check out the sample resume for office staff positions at the top. Pro Tip: If you really can't drum up experience, don't worry. Almost every job offer calls for it, but most entry-level jobs will hire without. Apply. You can't win the lottery if you don't buy a ticket. Your professional office assistant resume needs a shot of coffee. Give it some with action words. Use these: "+80 Examples of Resume Action Words for Every Profession"
Imagine you're a hiring manager. You work in a factory that makes soft-batch chocolate chip cookies. You're reading through 350+ office assistant resumes. How much do you care about the education on those resumes? Here comes a resume that uses education to show the applicant is perfect for the job. Pursued a passion for public speaking coursework. Excelled in writing and composition. Handled show scheduling for college radio station. Member, Women in Technology Chapter. Because the skills in bold were listed in the job offer. To the hiring manager, it's like you've got a crystal ball. But anyone can do this magic trick. Just read the job offer, then use your education section to connect to it like Dwight Schrute to martial arts. Need an example? See the front office assistant resume template at the top of this guide. Pro Tip: Only put your GPA in your education section if it's high. If a detail doesn't make you stand out in a good way, drop it. Want your office assistant resume education to pop out like an office party? See our guide: "How to Put Your Education on a Resume [Tips & Examples]"
Thank you for your application. We've chosen a more skilled applicant. Oh no! You're terrible! You'll never get a job! You just need to fix your office assistant resume skills section. First build a master list of all the skills you have. Soft skills, hard skills, any skills. It'll never fit into a resume, but that's OK.
Next, check the office assistant job description. Make a list of all the skills you see there. Third, play the word match game. List your skills that match the job description. Then use them in your resume. Imagine a position that requires skills in billing, communication, and friendliness. Based on that, look at this example for a medical office assistant resume. Performed all medical office assistant duties in a dental front office. Handled daily administrative tasks to keep the office running smoothly. Communicated with insurance companies to ensure proper billing. Decreased clerical errors by 15%. Interacted with patients. Increased positive patient survey scores by 25%. Commended frequently by management for my time management and friendliness. We have a winner. You know that Genie from Aladdin? He wishes he had your resume. What skills should you put on a resume for an administrative assistant? Just think: what skills do you need to be an office assistant? Start with the ones below. Add to them from your own experience, and from job offers online. Pro Tip: Don't just cram in a long list of personal skills. Highlight skills that fit this job offer, then prove you've got them in your resume bullet points. Skills really do matter. Plus, they make for the best resume keywords. Need to put your skills section on overtime? Use the professional office assistant resume template up top. Also, see our guide: "+30 Best Examples of What Skills to Put on a Resume (Proven Tips)"
In a flood of 350+ identical medical office assistant resumes, you somehow managed to stand out. You added "other" sections that painted you in three dimensions. Member, American Society of Administrative Professionals. Assist twice a month at the Presbyterian Church Food Pantry. That's the difference between proving you're as helpful as R2D2 and looking as weird as Jabba. The office assistant resume "other" sections above work because they add specifics. The Technical Proficiency section shows value. The yoga class shows leadership. The professional association membership proves that this is more than just a paycheck for you. Associations also make fantastic networking tools. Finally, the volunteer work shows a service mindset. That's invaluable for an office assistant. You can just say you've got fast typing skills and MS Excel skills. Or you can prove it in your office assistant resume. Consider taking a quick online typing speed test. Cite the results in your resume. Then upload a screenshot of the results to LinkedIn, so the hiring manager can see them. Not happy with your results? Do a YouTube search for "Excel tutorials" or "Outlook tutorials." You can even list tutorials you've watched on your resume! Pro Tip: You can get an "office assistant certification," but should you? They don't hurt, but don't feel you need to spend the extra time and money. Need some help to make the "other" sections of your school office assistant resume sing? See our guide: "+20 Best Examples of Hobbies & Interests To Put on a Resume (5 Tips)"
"Hiring managers don't read cover letters anymore." 40% of all HR managers consider them essential. Unless you've got a magic hat that lets you know which kind of HR manager you're dealing with, write one. Include a cover letter for office assistant resumes you send. Make it personal. Call the hiring manager by name. Make it passionate. Mention a fact or two you really like about the company. Can't find one? Dig into their website. Make it useful. Cite 1-2 wins from your past that show exactly how you'll make life better for the hiring manager. Last, add a call to action. "I'd love to discuss your needs," works great. Pro Tip: Follow up on your office assistant resume and cover letter. A thank-you email in a few days can jog the manager's mind in just the nick of time. Want a sample to work from as you write your office assistant cover letter? See this guide: "How To Write A Cover Letter [Complete Guide With Examples]"
The HR manager loves your professional office assistant resume! She wants to hire you! But whoops, she can't, because you didn't add your phone number. Of course you'd never do that. But you're probably making a mistake that's just as bad. Add links to LinkedIn, Twitter, and other relevant social media sites. Because you're dying to share more of who you are. Beyond a sheet of paper, you want the manager to see how valuable you are. Pro Tip: A word of caution. One photo of you in a balloon hat from last New Years can scuttle a great resume for an office assistant. See our guide to cleaning up your online presence here. Want more help to build the best office assistant resume you can? See our guide: "How to Make a Resume: A Step-by-Step Guide (+30 Examples)"
When writing an office administrator resume, follow all the advice I've given so far. Then add a bit. Administrators fill the office assistant job description, but with more responsibility. However, an administrator has a more robust list of skills and abilities. Start with the basic office assistant resume job duties, like managing communication by phone and email. Then ask, "What is the role of an administrator in an office?" That's what you'll need to prove in your resume bullet points. Performed advanced business administrative functions in a fast-paced nonprofit. Supervised two full time clerical personnel. Created weekly work schedules. Prepared annual budgets, handled monthly billing and purchasing requests. Completed reports. Monitored all email and telephone conversations. With increased responsibility comes higher pay. When we ask, "What is the average salary for an administrative assistant?" we get an answer between $9/hr and $20/hr. 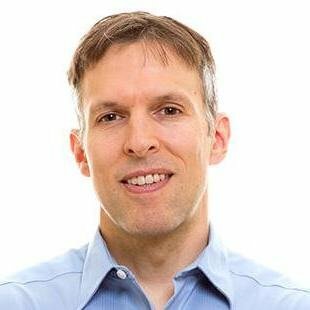 Administrators can make $20/hr to $25/hr or more. Pro Tip: An office administrator resume follows the office assistant resume description. The major difference is the accomplishments. Need more help to tailor your resume to a slightly different job? See our guide: "6 Tips on How to Tailor Your Resume to a Job Description (Examples)"
Start with the job description. Highlight all the skills and office assistant resume duties. Think how you'll prove you've got them. This works in a school office assistant resume or a resume for executive assistants. Prove you fit the job like a "World's Best Secretary" patterned catsuit. Do it by showing how you used the skills and did the duties in your experience and education sections. Add other sections to show you're different – in a good way. Anything that shows you as Turtle from Entourage will help your office assistant resume. Write an office assistant cover letter to boost your chances of landing that job! Do you have questions on how to write a great resume for an office assistant? Not sure how to describe your skills or achievements? Give us a shout in the comments! We'll answer as soon as possible!